Abstract The analysis of multimodal data comprised of images, videos and additional recordings, such as gaze trajectories, EEG, emotional states, and heart rate is presently only feasible with custom applications. Even exploring such data requires compilation of specific applications that suit a specific dataset only. This need for specific applications arises since all corresponding data are stored in separate files in custom-made distinct data formats. Thus accessing such datasets is cumbersome and time-consuming for experts and virtually impossible for non-experts. To make multimodal research data easily shareable and accessible to a broad audience, like researchers from diverse disciplines and all other interested people, we show how multimedia containers can support the visualization and sonification of scientific data. 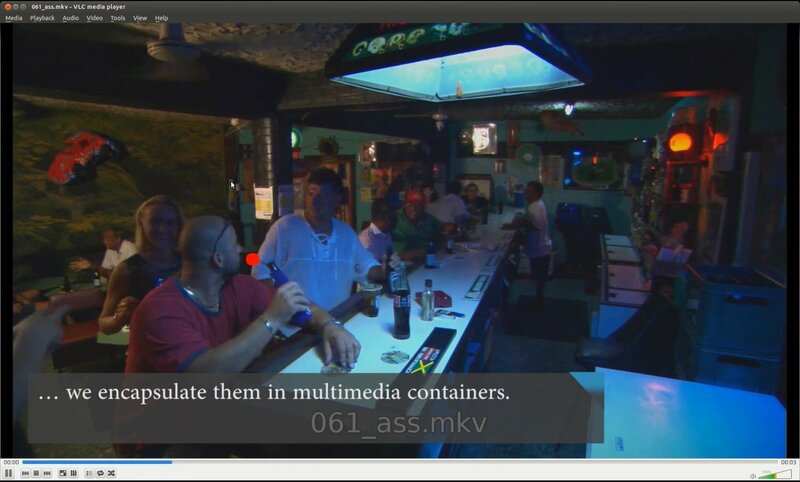 The use of a container format allows explorative multimodal data analyses with any multimedia player as well as streaming the data via the Internet. We prototyped this approach on two datasets, both with visualization of gaze data and one with additional sonification of EEG data. In a user study, we asked expert and non-expert users about their experience during explorative investigation of the data. Based on their statements, our prototype implementation, and the datasets, we discuss the benefit of storing multimodal data, including the corresponding videos or images, in a single multimedia container. In conclusion, we summarize what is necessary for having multimedia containers as a standard for storing multimodal data and give an outlook on how artificial networks can be trained on such standardized containers. Demonstration showing Exploratory Multimodal Data Analysis with Standard Multimedia Player.